WEST HOLLYWOOD, Calif. — Many female fighters have been asked about the prospect of fighting Cris Cyborg. 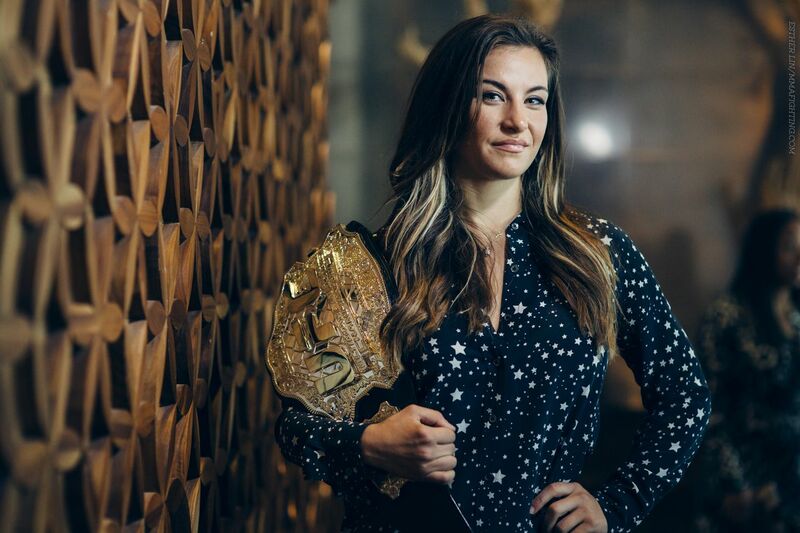 Not only does Miesha Tate say she would do it, she’s thought quite a bit about it. The UFC women’s bantamweight champion said Monday at a media lunch that she’d be willing to fight Cyborg, even at a catchweight of 140 pounds. The idea of facing the Invicta FC 145-pound champion — and arguably the baddest woman on the planet — is very interesting to her. Tate (18-5) obviously has plenty on her plate right now before that bout would happen. She defends the belt for the first time against Amanda Nunes at UFC 200 on July 9 in Las Vegas. That is Tate’s focus right now. But the Cyborg bout has crossed her mind. “Cupcake” has said she’d be will to move up and face Cyborg at a catchweight. Cyborg fights primarily at 145, but she beat Leslie Smith at 140 last month at UFC 198 in Brazil. That was Cyborg’s UFC debut.